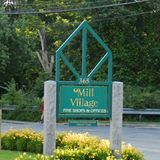 We are located in historic Mill Village at 365 Boston Post Road, Sudbury, Massachusetts 01776. There's ample off-street parking behind the store. Our phone number is (978) 443-DUCK (3825).